The data outages caused by snow and ice ended Monday morning when the Sun melted the last pieces of ice off of the SDO antennas. Many thanks to the FOT members who worked to keep the antennas pointed at SDO through a holiday weekend. Since last night, the SDO science telemetry downlink has been severely degraded due to snow and ice in southern New Mexico. The telemetry files being delivered to the SOCs have been partial for all three instruments. Accumulations of ice and or snow have probably collected on both SDO1 and SDO2 dishes. At the moment, conditions are still poor. 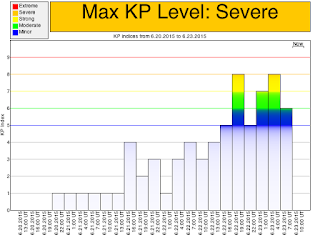 The data outages will stop when the severe weather ceases. Today Venus will disappear behind the Moon at varying times across the United States. It will not be visible from SDO as we do not have a lunar transit today. Please see the front page of SpaceWeather.com for details on when to watch this occultation. You will need a pair of binoculars for the best view. Just find the Moon (a little ahead of the Sun in the sky) and watch as the bright dot of Venus goes behind it at about 12:30 p.m. ET. The 2016 Mercury transit will last 7.5 hours. Mercury will touch the edge of the Sun at 1112 UTC (7:12 a.m. 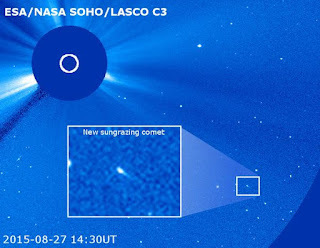 ET, called first contact), move completely into the disk at 1115 UTC, cross the center of the Sun at 1457 UTC, touch the far edge of the Sun at 1839 UTC, and leave the disk at 1842 UTC (2:42 p.m. ET, fourth contact). Unlike the 2012 Venus Transit, which was only visible in Alaska and Hawai'i, this transit will be visible throughout North America. People in the USA will be able to see most, if not all, of this transit. Mercury is smaller and further from the Earth, so, compared to the transit of Venus in 2012, it will be a smaller disk as it passes between SDO and the Sun. Due to the shorter orbital period, transits of Mercury are more common than transits of Venus. Johannes Kepler predicted a transit of Mercury would occur in November 1631. The first observed transit of Mercury was on November 7, 1631 by Pierre Gassendi. This was the first observed planet transit and showed that Kepler's equations of planetary motion could be used to predict the positions of planets. SDO will provide near-realtime pictures of the Mercury Transit at a dedicated webpage. More details as the time approaches. While you are waiting, grab your binoculars and go watch Venus disappear behind the Moon! Trinity College Dublin (Ireland) is running a campaign in Dublin called City of Physics, showing the city of Dublin the beauty of physics. For their opening nights at the end of October, they projected images from the SDO instrument onto a city centre building. A short video is available to show the reaction of people in the city is at https://www.youtube.com/watch?v=mpEj_4aanDA. Check out the undergraduate students busy talking to Dubliners about SDO. When SDO was launched TVs were displaying 720p resolution. In the five years since we have seen TV screens at 1080p and now UltraHD (3840 pixels by 2160 pixels.) 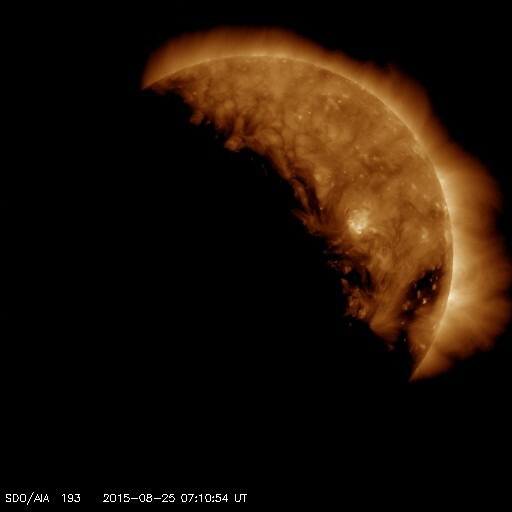 This means we can show half of the Sun in full SDO resolution on commercially available screens. 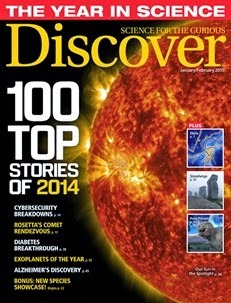 As a result, NASA has released a new of 4k ultra-HD movies of SDO imagery. These are also on YouTube. But to get the full impact of the UltraHD resolution you need to download the movies from SVS website. The SDO webpage also has a list of UltraHD movies. We are planning to start releasing daily UltraHD movies. If only UltraHD allowed us to show the entire disk of the Sun at the native resolution of the SDO imagers! But that must await the next generation of screens. Today is Calibration Maneuver Day! SDO will perform two calibration maneuvers today. The EVE field of view maneuver will run from 1315-1557 UTC (9:15 am-1:57 pm ET) and HMI/AIA Flatfield will run from 1630-1907 UTC (2:30-5:07 pm ET). 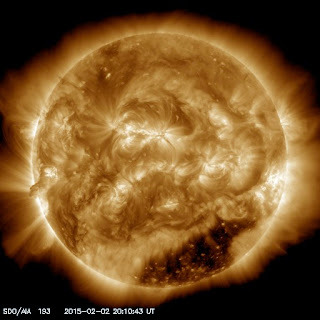 SDO science data will not be available from 1315-1910 UTC (9:15 am-5:10 pm ET), although the AIA near-realtime images on the SDO website will show the Sun running back and forth across the images. 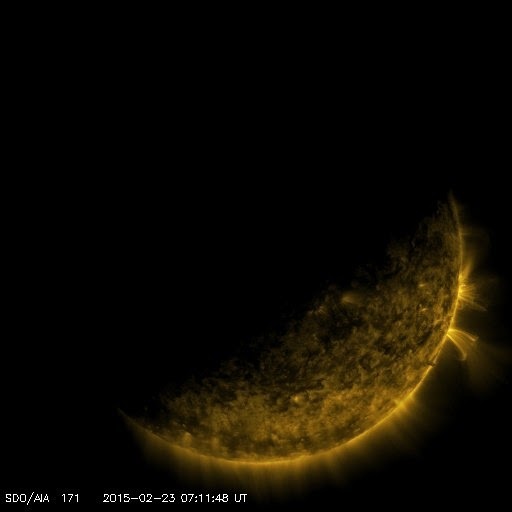 SDO will see another lunar transit today from 1718 UTC (1:18 p.m. ET) until 1733 UTC (1:33 p.m. ET). Although this is a very short transit, the Moon will occult part of the fine guidance system in AIA so we will turn off the fine guidance during the transit. That means the AIA images will drift a little and the HMI Dopplergrams and magnetograms will not be created. The maintenance on the SDO web and data servers is complete the website is back up and running normally. Thank you. The SDO web and data servers are undergoing maintenance and will be unavailable for a time. We apologize for any inconvenience. We will send out a message as soon as our servers are back up. On October 1, 2015, SDO began the First SDO Extended Mission. 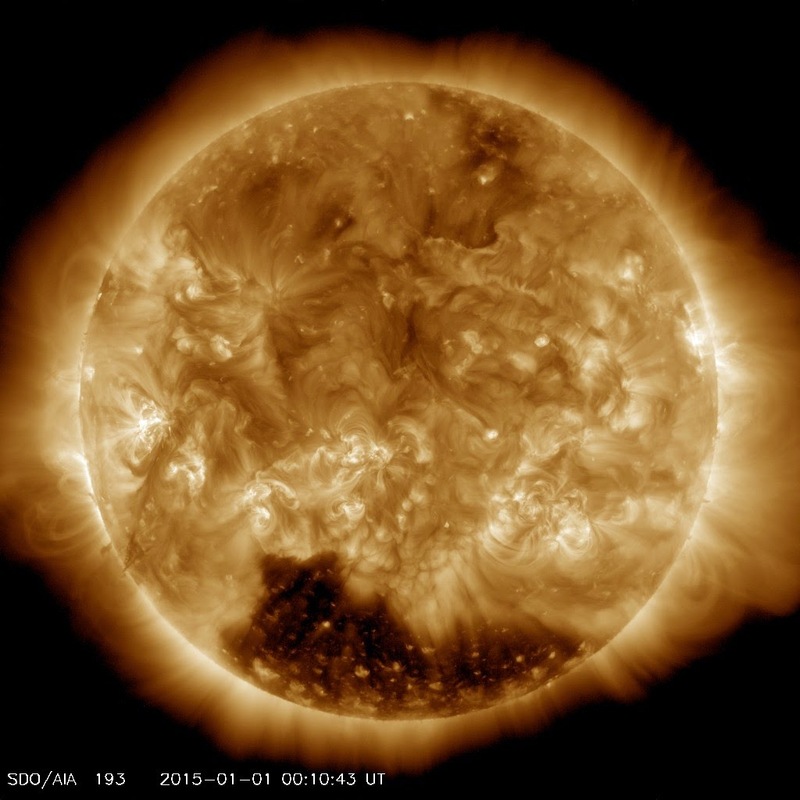 The SDO Team submitted a proposal to NASA in March to continue observing the Sun for another two years. The proposal was approved and we began the extended mission on October 1. With the extended mission comes calibration maneuvers. The first is an EVE cruciform today from 1800 UTC (2:00 p.m. ET) until 2230 UTC (6:30 p.m. ET). SDO science data will not available during the maneuver but the AIA images on the SDO website will look like the Sun is zooming around in space. Congratulations to the SDO Team for the successful proposal and winning another two years of watching the Sun and solar activity! 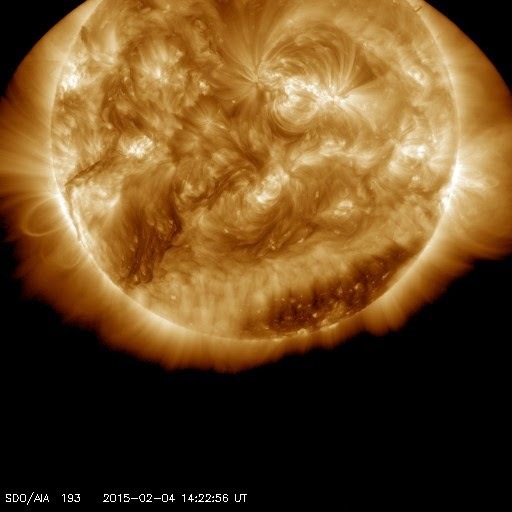 SDO will perform a roll maneuver today starting at 1630 UTC (12:30 pm ET). The Sun may appear to rotate in images taken during this maneuver. The roll angle will be removed in the science data. 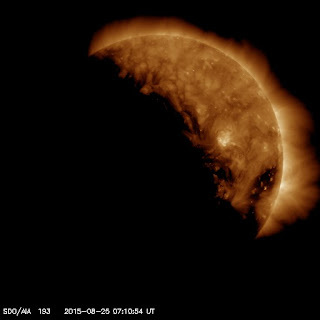 Today SDO will perform the EVE Field of View maneuver at 1315 UTC (9:15 a.m. 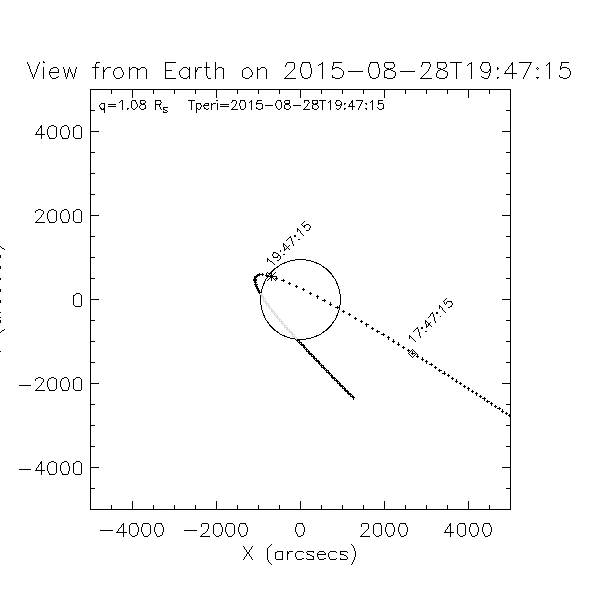 ET) and the HMI/AIA Flatfield maneuver starting at 1630 UTC (2:20 p.m. ET. While the maneuvers are running the SDO science data is recorded but may not be usable for science studies. The SDO EVE calibration rocket was cut down by range safety about 16 seconds after launch. The rocket did not fly the planned trajectory and was cut down when it appeared that it could fly out of the White Sands Missile Range in New Mexico. The payload was recovered and will be prepared to fly again. The reflight could be as soon as next year. Tomorrow at high noon Mountain Time, the SDO EVE calibration sounding rocket will launch from White Sands Missile Range in New Mexico. It is only 15 minutes of flight with 5 minutes of solar viewing, but we use that data to calibrate the EVE and AIA instruments on SDO. The wavelengths of light these instrument measure can't be measured from the ground. Every 2 years or so we send a copy of the EVE instrument to make the same measurements as the flight instrument that orbits the Earth. 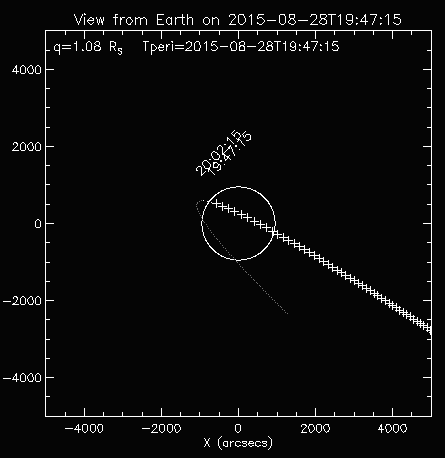 The two measurements should agree and where they don't, the on-orbit instrument data is adjusted. More details are in the SDO EVE Calibration rocket rocket article on SpaceRef or the SDO NASA webpage. The SDO DDS went offline at about 2247 UTC (6:47 p.m. ET). The SDO Flight Operations Team is looking into the outage. 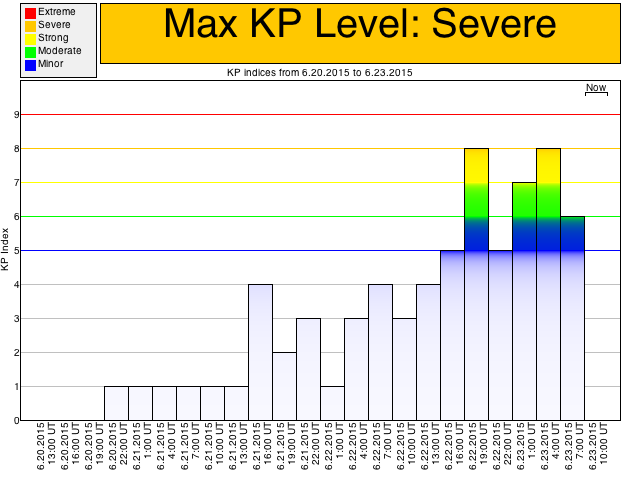 UPDATE: As of 0130 UTC (9 p.m. ET Tuesday) the SDO DDS in back online and delivering science data to the SOCs. All data downlinked while the DDS was offline will be sent by retransmissions. Today's IRU calibration Maneuver has finished. Here is a short movie showing what SDO did. We first pointed the high-gain antennas away from the Earth (that's why we didn't receive any science data). Next came a roll, 2 pitches, 2 yaws, 2 rolls, and a final roll back to our normal orientation. If you have ever waved your smartphone in a figure-8 to calibrate the navigation, you know what we were doing! Thanks to the SDO FOT for taking the overnight shift to do this maneuver. SDO will perform an IRU Calibration maneuver on May 13, 2015 from 0400 UTC (Midnight) to 1200 UTC (8 a.m. ET). The spacecraft will perform a series of roll, pitch, and yaw maneuvers designed to exercise the ACS. Science data may not be available during this time. 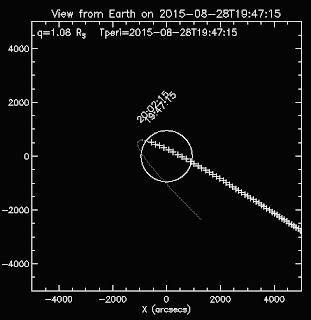 SDO executed Momentum Management Maneuver #22 today at 1815 UTC (2:15 pm ET). We used 48.8 gr (1.72 oz) of propellant to change the reaction wheel speeds to the desired rotation rates. Science data may be missing from 1800-1830 (UTC) while the burn was executed. We've adjusted the settings on the AIA 171 Å (yellow) and 304 Å (orange) images - the Sun isn't getting brighter, the settings have been changed so features show up better. The image below shows the comparison. 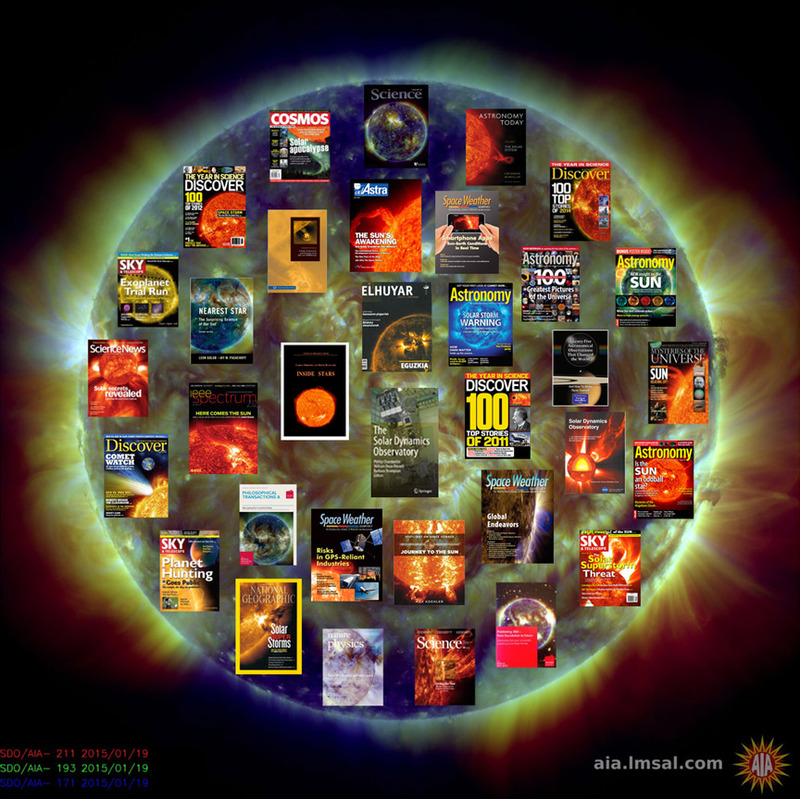 Happy 5th Birthday to SDO Science Data! 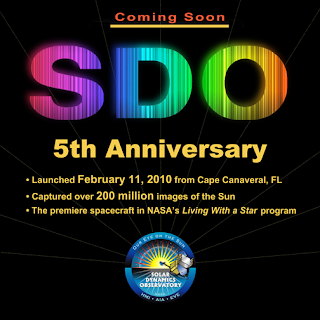 Today is the 5th birthday of SDO Science Data. On May 1, 2010, SDO was commissioned as a NASA observatory and began sending science data to scientists and the public. 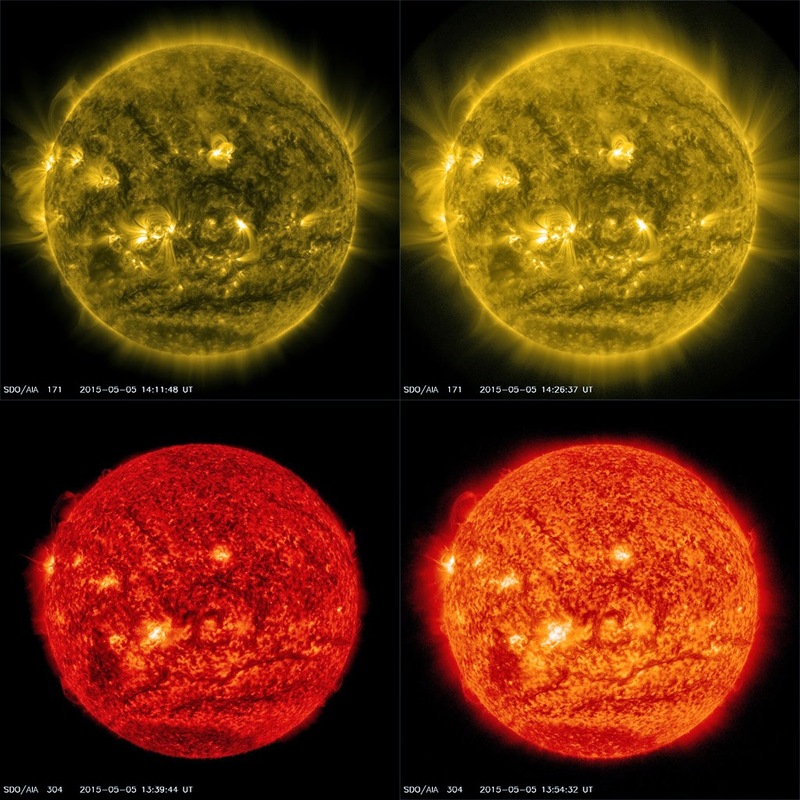 We have watched Solar Cycle 24 rise to solar maximum, storing about 7 PBytes of data, releasing almost 200 million images, and having about 1900 scientific papers published describing new things we have learned. I thought I would share two new images that show the solar magnetic field as only SDO can. The first is the average of the HMI magnetic field at each point on the Sun. White areas show where the magnetic field points out of the Sun and black regions are where the field points into the Sun. Grey regions have a magnetic field of zero. The Carrington longitude is used to give features on the Sun a position. We use the sine(latitude) rather than the latitude to avoid having the Sun look distorted like the Mercator maps of the Earth. The little circles are individual active regions. Even though this is an average over the last 5 years, we can see diagonal swaths of field in both the north and south hemispheres. The other picture is how much each point on the Sun changed over those five years. The white points changed a lot while the black points changed very little. Now you see the diagonal lines a little better. Most of the changes in the solar magnetic field happen in the "active latitudes" where sunspots and flares are found. Very little happens at high latitudes. There is also very little happening along the Sun's equator. You should compare these pictures with the averages of AIA 171 released two years ago. 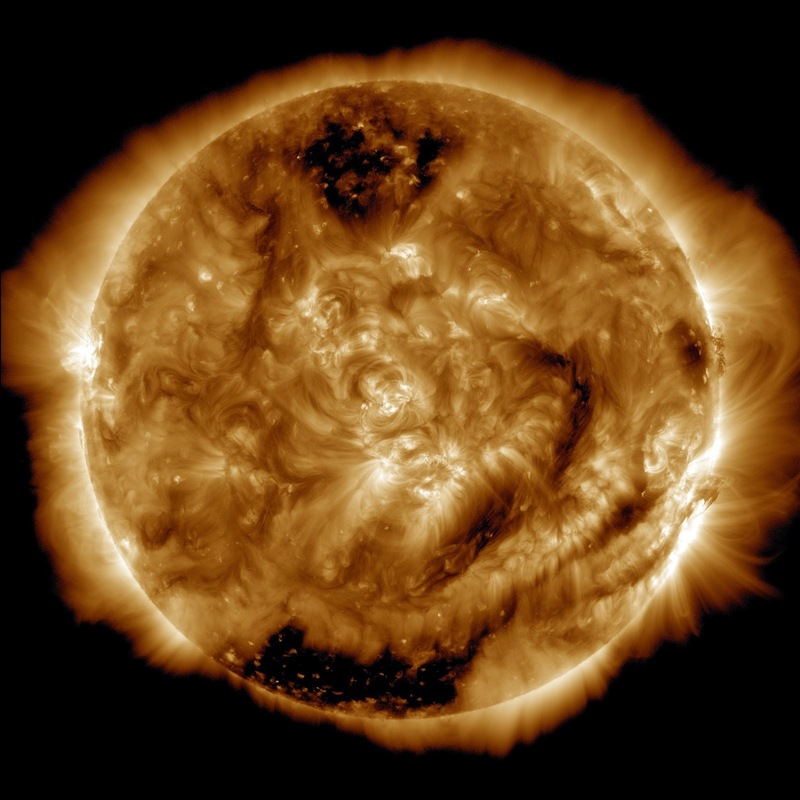 SDO was launched to study the Sun's magnetic field. It is done a great job of recording the magnetic field, flares, filaments, and coronal holes during the rise of Solar Cycle 24. As Solar Cycle 24 fades SDO will continue to measure and report the magnetic field and what that magnetic field does in the solar atmosphere. Thanks to the HMI for creating the maps of the magnetic field I used to create these pictures, and many thanks to the entire SDO team for the amazing mission they have run for the last 5 years.